What do you usually do? Tear off a piece of paper and give them your email address & phone number? Give them a flyer & a business card? The HUGE difference between email newsletters and email marketing. 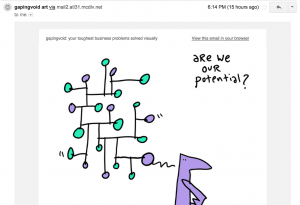 Before we dive into the nuts and bolts, I want to make sure you understand that the reason most email doesn’t work for most artists is because YOU DON’T KNOW WHAT YOU’RE DOING (yes, I’m really yelling, and no I’m not sorry). A newsletter is what Human Resources sends to the other office employees to let them know whose birthdays are coming up and when signups for corporate softball start, or when the Homeowner’s Association lets the neighborhood know that new trash cans are coming. Email marketing is sophisticated. It’s inserting your fan’s name in the email so that they see a personalized message. It’s tracking opens and clicks so that you know how effective your marketing messages are. It’s segmenting your audience by their interests and sending different messages to fans, customers, and collectors. 1. Collect names, email & physical addresses. When your work is shown at art shows, craft fairs, galleries, and other places, put out a sign up sheet for people to opt-in to your mailing list. Write something like this on the top of the page, “Join Cory Huff’s Insider’s List to find out more about my upcoming work and studio process.” Then divide the paper up into three columns labeled First & Last Name, Email, and Address. You should also collect names and addresses on your Web site. Notice on this site there is a big sign up box on each page. Next to that box there’s a link to a blog post about what people get when they sign up for the mailing list. Develop a lead magnet, irresistible free offer, or opt-in gift. Give something away to the people who sign up for your mailing list. Give them a little free taste of what you do to get them excited. Painters can offer a free postcard, or high quality screensaver or desktop wallpaper. Owen Garratt sends physical post card mini-prints to every person who joins his list. 2. Use an email management service EMS. It’s easy to email from your Yahoo or Outlook email service. Don’t make this mistake. 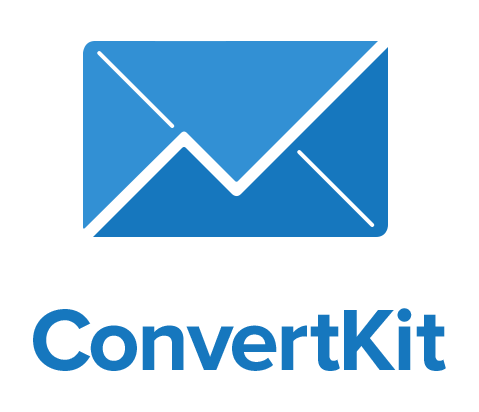 Email management services will integrate your Web sign up forms with your list for you, track the number of people who open your emails, and the number of clicks your email generates. That way you know whether the things you are writing about are generating interest. I recommend ConvertKit.com (affiliate link) as a free email management service for artists with a list under 2000. It’s easy to use and does a great job with email list management. Plus, the creators of ConvertKit have a great sense of humor. Whatever email management service you use, you should make sure that you can generate a series of auto-responders. Auto-response emails go out whenever someone signs up for your list, making further offers, reminding people what you have for sale, or any other message that you might want them to have. After you master the basics of auto responders, you can do some pretty crazy stuff with email to nurture your fans into collectors, but that’s advanced stuff for artists with lots of people on their mailing list. 3. Start digital, go physical. If you have some money to put into a physical mailing, these are great. Put together a 2 – 4 page glossy magazine that will show off your beautiful work in all its glory. Add in some personal notes describing your experience with creating each piece and you’ve got an easy to create newsletter that lets your buyers know you have new work and how they can get it. Plus, they have something beautiful to put on their coffee table or in their office lobby. 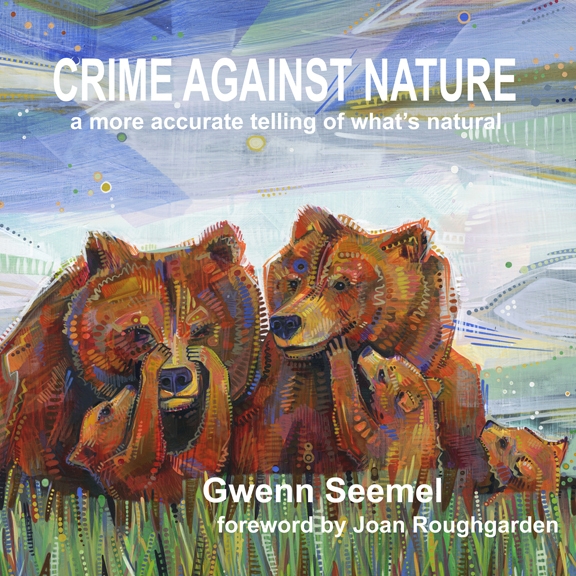 Gwenn Seemel’s book catalogue for her series Crime Against Nature. 4. Frequency. How often should you send emails? It depends on how good of a writer you are, and how much you have to say. Some artists write weekly. Some write a couple of times per month. I would recommend never going more than a month without writing your newsletter, and you should set it so that it comes out at the same time ever time. As a rule of thumb, if people are reading your newsletter, responding well to it, and you are having fun, then you are probably at the right frequency. In our Content Marketing for Artists course, Adam Hall learned to share his personal story of becoming an artist. “If you can give people a little vulnerability and humanity then they will go on that journey with us.” Adam went from not wanting to write about his work to learning to be an effective writer and communicator. This could be its own blog post (check out – 23 Things to Talk About In Your Artist Newsletter and 7 Email Marketing Scripts). There are so many things you can write about. I hear a lot of artists saying they have no idea what they would write about, but then I start asking them about their work, what they’re doing, how they do it, and why they do it. They’ll talk forever, and it’s really interesting. That’s exactly what you should talk about in your newsletter. Talk about our work and how it affects you, your friends & family, and your community. Talk about your passion and your inspiration. Artists are inherently interesting. All of us have a little kid inside that says, “I wish I could do that.” It’s where the cult of celebrity comes from. Here’s 4 email ideas that will generate a nearly endless amount of content. Curation. Do you go to a lot of art shows and gallery openings? Curate a list of your favorite stuff and make that a regular email feature. 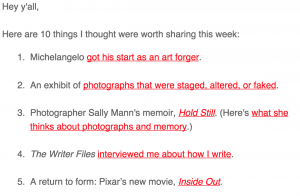 You can also curate your favorite artists online, the best books you read, or the best ephemera from the Internet like Austin Kleon does in his newsletter. Tell small daily stories – Hugh Mcleod is a cartoonist whose work hangs on the walls at Microsoft, Rackspace, and other tech companies. His daily emails contain doses of thought provoking inspiration and creativity. I look forward to it every day. Show off work in progress – I’ve mentioned her many times on the blog. 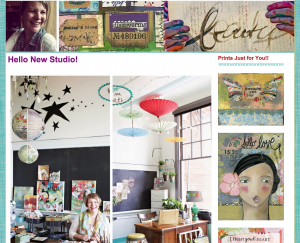 Jolie Guillebeau does an amazing job of this, sending 3 – 5 emails per week when she’s working in her studio, telling the story of her new works of art and giving you a peek into her process. Events and shows – Kelly Rae Roberts is one of my favorite artists simply because of her relentless messages of positivity and beauty. Her email announcing her upcoming studio tour was really fun. You don’t need to have a well-designed html template for your newsletter. A plain white background (like a gallery wall) with a single image of your work and a simple story is just fine. Email marketing is a powerful tool. Build it into your weekly routine. Learn to write regularly about your work. Learn to use tools. By embracing modern marketing techniques, you can grow your audience and sales exponentially. I have been publishing an electronic newsletter weekly (almost) since June 2009. I use PHPList which is free but you do have to be something of a computer savvy person to use it easily. I generally try to tie in one of the topics to my Wednesday blog post. It’s taking quite a while to build a following, though I am very much a proponent of newsletters. .-= Patricia C Vener´s last blog ..Out of The Crowd: One of December’s Many Birthstones =-. Patricia, thanks for responding. I totally understand your concern with the frequency & timbre of personal information. I heard a quote this weekend to the effect of ‘you never know where the line is until you’ve crossed it.’ Your fans will tell you, through lower open rates, lower click rates, and slower growth, whether you are going in the wrong direction. I regularly stir interest in my work and workshops–and its a fun way to just keep in touch with all the friends you make through art. Love your articles by the way–Keep up the amazing work! Thanks Dreama. I’m off to take a look at your newsletter archive. Wow, thank you for sharing! I have been wanting to get into selling my art online but have no idea where to start. I always thought that I needed to hire a really expensive website designer in order to have my own site showcasing my work. I never put much thought into how to generate a newsletter, creating a fan base using the tools that are accessible now (facebook, etsy, ebay, etc.) You’ve given me real hope and a better sense of direction. Thank you so much! @AlmaSepulveda You bet Alma! Good luck and let us know when you have your site up! I have a newsletter, but I’ve been bad! I only really use it when I have a gallery show that I’m promoting. Lately, I’ve been thinking I really need to send one letting people know that I’m still alive. Still creating. You’re post has confirmed that for me. So you put a copy of your newsletter on your web site? How? Where? Just the type of things I needed to hear- and loved the link to the newsletter ideas, too! Can’t wait to try it out! I have just created a newsletter but am trying to figure out how to post it to my blog. I will prevail. Thank you so much for your information. It makes it seem so simple and doable. Wish me luck. My lead maganet is a free prize draw that I offer to my subscribers (I have the offer with the prizes posted clearly on my homepage and on my blog side bar people see it as soon as they arrive http://www.MichaelCarltonArt.com). I’ve not been regularly mailing my list as much as I’d like (or perhaps should have 😐 ) but have made a resolution this year to send out an email once a week at the same time (1pm every Thursday) with an update of some sort like works in progress blog post, or time-elapsed videos, or invitations to exhibitions, or when new works are for sale or if I’m running a promotion etc. At first I didin’t want to “bother” people every week but then I found that people like regularity and that if you can become a part of their routine (and perhaps provide a break from the norm for them), they will welcome, open and respond to the emails and updates. Thank you for all of your information – greatly appreciated! What email provider do you recommend over 500? Not that I’m there yet, but thinking into the future. If you don’t know, that’s totally cool, just wondered if you had a recommendation. Thank you for this post. 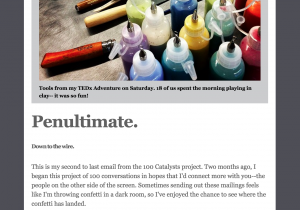 I have been procrastinating on starting up my newsletter again and you’ve given me the courage to just go for it. Love this blog! The college or university of san diego county Roell has recently paid out in san diego county the state of californiaandreas roell is chairman and ceo for the geary set part of the american citizen http://epicbeaver.com/buy-instagram-followers/ promoting and marketing federations aafs table http://epicbeaver.com/buy-instagram-likes/ of company directors the chairman on the buy instagram followers institution absolutely lovefutbol additionally, the cofounder of key person. Thanks so much for this. I really can’t tell you how valuable I find all of your information. I just launched my website and had my first solo show a few days ago, and I’m on TAA all the time! It always has the answers I need when I am ready for them. Well I guess I will be the negative guy here today and give my opinion as to what I feel and that is internet marketing is getting way to hard and sophisticated to make money online and with the Google rules changing by the minute it will become even harder. Love this. Email marketing is such an amazing, often underutilized tool in the arts community. I give my clients similar advice. I am ready, at long last, to start a newsletter. It took me a long time to become persuaded of the usefulness of it. But I have been working with a marketing coach in another area, and finding that I am now wanting to apply that knowledge to marketing and selling my own artwork! Email marketing is becoming harder and harder. Thanks for sharing these good ideas with us. Great article Cory! Very insightful. Thanks for sharing it with us. 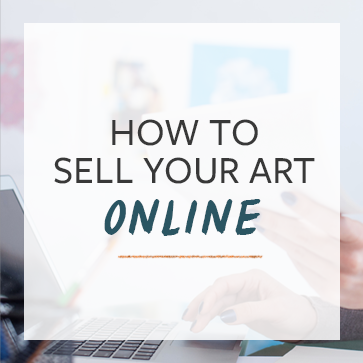 I’ve only learned a few months ago that being an artist means also being an entrepreneur… I know… And I’m actually super excited to have found the key to making a living as an artist. I’ve just started playing around with gathering email addresses and I’m looking forward to using a proper tool for doing that. I think this is also a very creative part of being an artist and I’m loving it. I’ve been following you for a while now. Thanks for the very inspiring content you put out there. Thank you so much for providing such valuable information. I have one burning question. What can an artist offer as a free item in exchange for an email address? I should be more specific. What can a mixed media artist, or creator of other types of art that does not lend it self to print, offer? I would love to offer a free item, but what? Do people really want a screen saver anymore? Those are fairly outdated I think, at least for a Mac. You haven’t covered the most important aspect – how to get ppl on the list to buy. In my experience ppl will read your interesting newsletter and close it. Crafting an email that gets ppl to buy is what it’s all about and no one seems to want to talk about that. How do we turn subscribers into buyers? Appreciate your ideas, but the affiliate link you posted (convertkit.com) s not free.